A Consumer Perception Rating® (CPR® Score) measures how consumers as a whole perceive a dealership's reputation. In the past decade the internet has forever changed consumer shopping behavior, whether it is direct purchasing from online merchants to the researching of businesses, products or services. Today reviews and ratings play a significant role across all industries influencing where consumers will choose to do business. 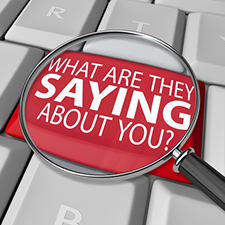 There are a myriad of review sites available to consumers. Each review site whether a general review site or an industry specific review site has their own rating methodologies, for example, some have a 5 star rating system while others may use a recommend versus don't recommend metric. Within each of these scoring methodologies, these sites provide their own interpretation of what the score means. Most consumers would probably be more inclined to do business with a merchant that had at least a 4 out of 5 star rating. Consider that eBay most likely has had the most influence in bringing consumer generated feedback, thus reviews and ratings, to the forefront during this era. eBay's scoring system is a 0 to 100% positive feedback score. Today a seller feedback score on eBay of 95% - 97% is considered "Somewhat Poor". So in this context, the standard is set extremely high further reflecting today's consumers' service expectations when choosing a merchant with whom to do business. Consumer Perception Rating® (CPR® Score) does the heavy lifting for consumers by analyzing individual scores from the myriad of review sites across the web and reducing them down to a single aggregated CPR® Score between 1 and 100. 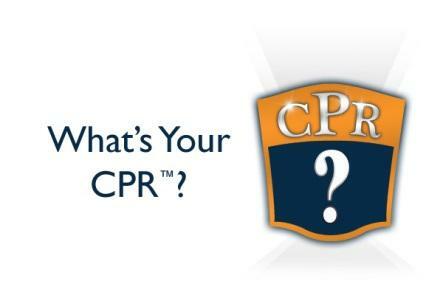 CPR® Scores are calculated based on the Universal Rating Standard® (URS®) algorithm which reflect the unique characteristics of consumers in a given industry or market niche. Because so many factors are considered in the final scoring result, a CPR® Score of 85 or greater is a Dealership that has demonstrated a commitment to excellent customer service and consistent consumer satisfaction.